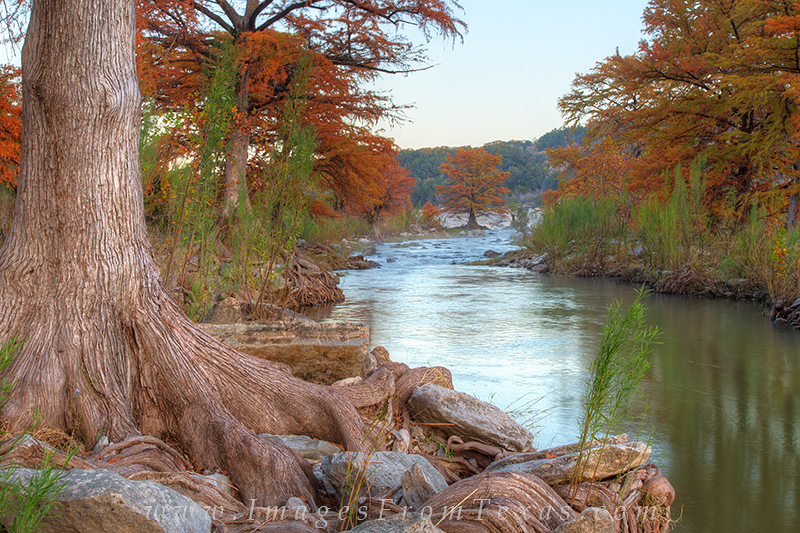 In specific locations along the Pedernales River, you can find large cypress with their twisting roots along the river bank. This images shows one of my favorite locations. Taken in November, the fall colors stand out and make this a beautiful place to visit. Photo © copyright by Rob Greebon.